Cochlear implants are devices that are surgically placed in the ear canal, providing electrical stimulation to the auditory nerve and allowing those with severe hearing impairments or profound deafness to hear. 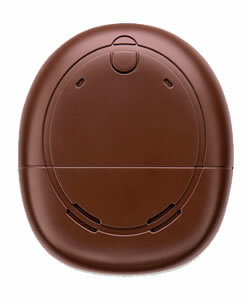 They are a great alternative for patients who can’t benefit from use of a traditional hearing aid. While both hearing aids and cochlear implants help restore the sensation of sound to patients with hearing loss, they work quite differently. 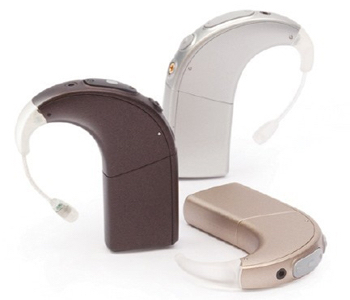 Hearing aids amplify sounds, allowing those with nerve damage to hear more clearly. 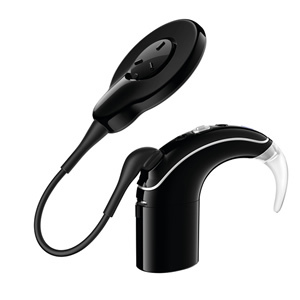 Cochlear implants send an electrical signal to the brain, which is converted to sound. Neither cures deafness, but they enable a patient to communicate more easily. A cochlear implant consists of four main components: a transmitter that is placed behind the ear, a microphone to capture sound from the environment, a speech processor to filter sound and transmit it internally and a receiver implanted beneath the skin that converts the sound to digital signals that are sent to the brain through a series of electrodes in the cochlea. These electrical impulses pass directly through the auditory nerve to give the patient the perception of sound. Cochlear implants help adults with severe to profound hearing loss in both ears, or children 12 months or older with moderate to profound hearing loss in both ears and are not receiving enough benefit when using hearing aids. Although there is no cure for hearing loss, the cochlear implant has become widely recognized as an established treatment for those with profound hearing loss. Who Should Consider a Cochlear Implant? Many factors are used to determine if a patient is a good candidate for a cochlear implant. An audiologist will take into account the individual’s hearing history, type and cause of hearing loss, degree of hearing loss, ability to recognize speech, age and overall health. The ideal candidate will have severe to profound sensorineural hearing loss in both ears, have a working auditory nerve, possess solid language and communication skills, will have lived at least a short time without hearing, won’t be a surgical risk and will have realistic expectations about the outcome. All patients should be willing to invest the time and effort into post-implementation therapy, since learning to use cochlear implants takes time and effort.